Two dead and ten people injured. Sileri is the most active and dangerous among some 10 craters at Dieng Plateau. eruption occurred at around 11:30 a.m., when there were about 17 visitors around the crater. A helicopter carrying eight people crashed Sunday while on the way to help with evacuations near a volcano that erupted on the main Indonesian island of Java. Officials didn't know the fate of the people on board, but villagers said they found two bodies at the crash site. The eruption of the volcano, located in a popular tourist area, injured at least 10 people. The helicopter from the National Search and Rescue Agency was carrying four crewmen and four rescuers when it crashed near Candiroto village in Central Java province's Temanggung district, Heronimus Guru, the agency's deputy operations chief, told KompasTV. Guru did not know the fates of those on board, but villagers told the TV station that they found the bodies of two people. 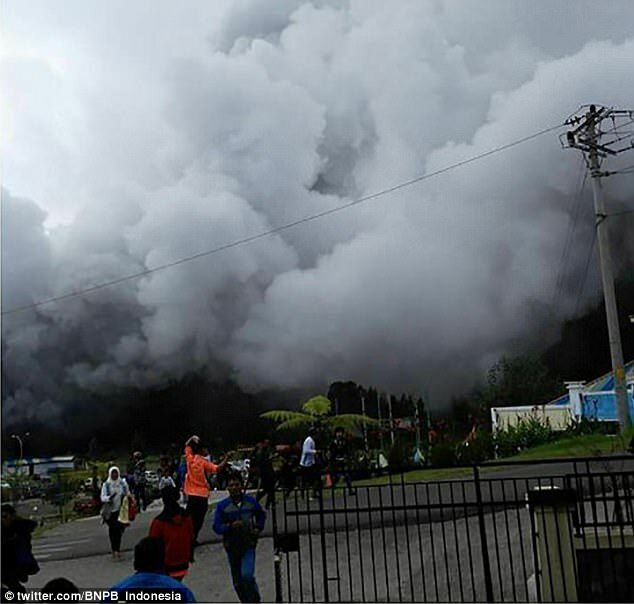 Earlier Sunday, Sileri Crater at Dieng Plateau spewed cold lava, mud and ash as high as 50 meters (164 feet) into the sky when it erupted, said National Disaster Mitigation Agency spokesman Sutopo Purwo Nugroho. He said the sudden eruption occurred at around 11:30 a.m., when there were about 17 visitors around the crater. Ten people were injured and were treated at a hospital. 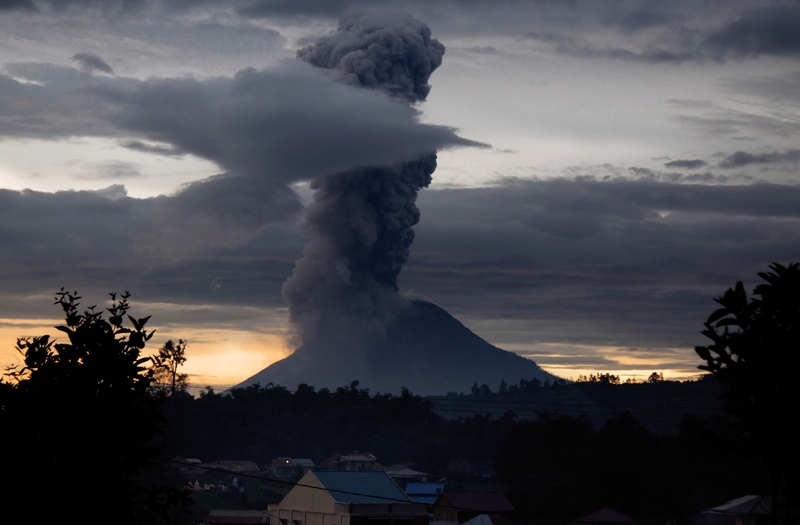 Soldiers and police officers were dispatched to the scene, while local residents and visitors were asked to evacuate the area in case of further eruptions, Nugroho said. Its most recent eruption was in 2009, when it unleashed volcanic materials up to 200 meters (656 feet) high and triggered the creation of three new craters. Dieng Plateau, located in the Central Java district of Banjarnegara, is a popular tourist attraction because of its cool climate and ninth-century Hindu temples. It sits about 2,000 meters (6,600 feet) above sea level. Some 142 people were reportedly asphyxiated in 1979 when the volcano spewed gases.